So yeah you get the idea! 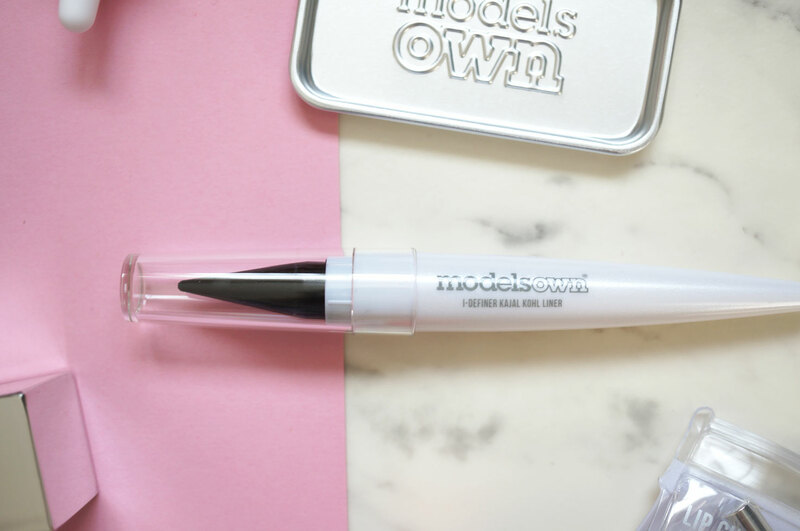 With such a massive new range it would seem that Models Own are making a clear statement that they’re not just a nail polish brand. 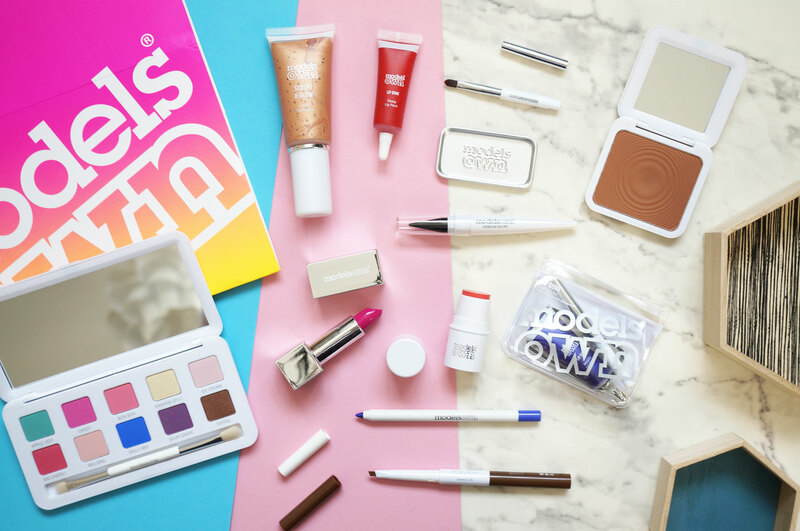 They literally have something for every makeup need! There’s also plenty of tools and brushes in the collection (including some rather nice looking high shine Rose Gold brushes might I add) and some more unexpected items such as Hand Cream, Makeup Fixing Spray and Micellar Water. 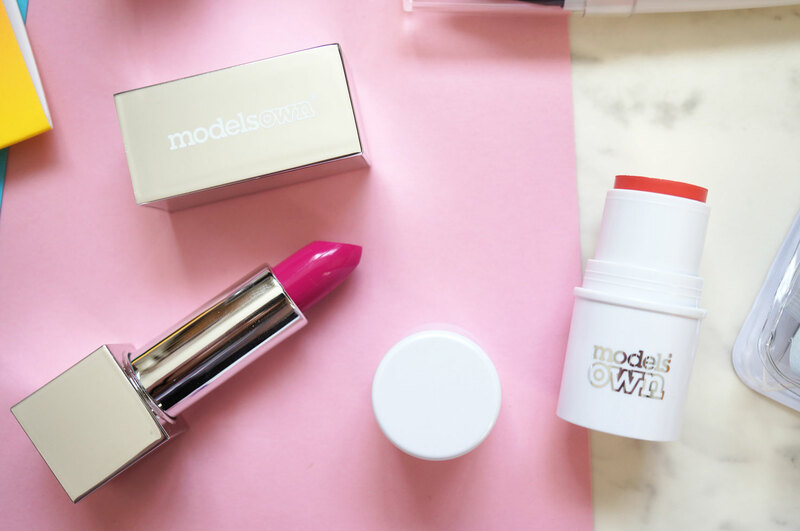 I have a small selection of these products to show you today – let’s get stuck in! Starting with the Eyeyshadow Palette in Sweet Dreams (£14.99) – this is one of nine different palette options, each including a wide variety of eyeshadow shades. If you love neutrals there’s a palette for you, if you love neon brights, pastels, dark shades – there’s also a palette for you in this collection! 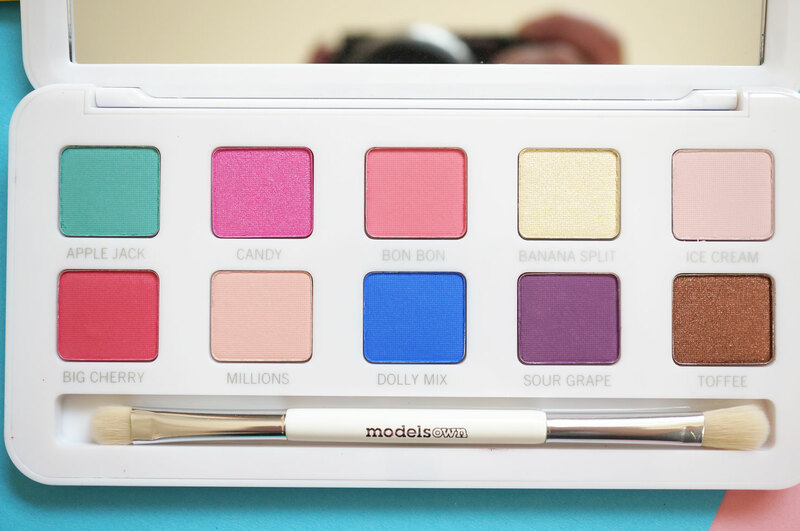 The Sweet Dreams palette contains a selection of pastels and brights, with both matte and shimmer finishes, as well as a double ended brush. The shadows are nicely pigmented and really easy to work with and blend. Next we have the i-Definer Kohl Pencil Eyeliner in Electric Indigo (£5.99 – this is a gorgeous intense bright blue shade which is right up my street! This waterproof eyeliner pencil comes in a massive 16 different shades, the formula is smooth and applies easily to the lids without any dragging. And the Now Brow! 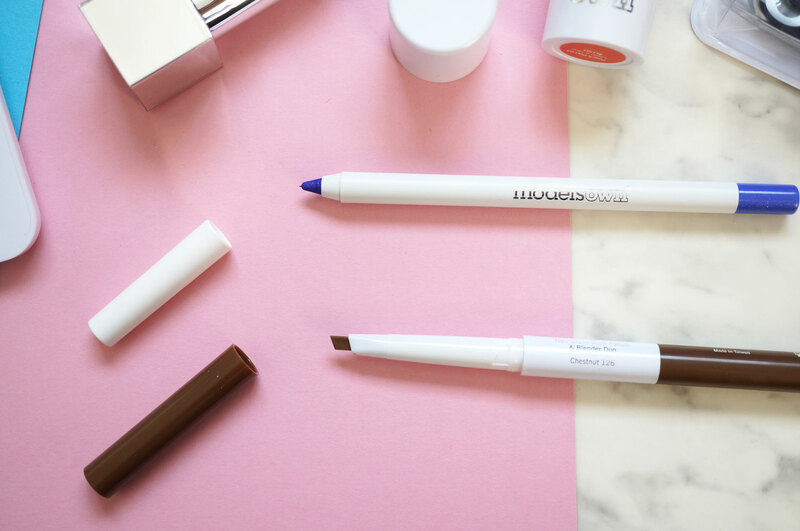 Eyebrow Pencil & Blender Duo in Chestnut 126 (£7.99) – this handy duo product includes a slanted eyebrow pencil at one end, and a blender at the other, so you can easily fill in brows with the pencil for a natural look, or blend out for more definition. The Luxestick Velvet Lipstick (£7.99) comes in 10 shades, and I have Plush Peony, an intense bright fuchsia shade. This is a nice lipstick but the pigmentation wasn’t quite as intense as I was hoping. If you’re looking for a highly pigmented lip product, I’d definitely recommend the Lip Gunk Glosses! The Rock N Rosy Blusher Stick (£6.99) is a handy little twist up stick which is perfect for giving a pop of cream colour to the cheeks. I have shade Peach Pop which is a mid peach with a matte finish. It’s worth mentioning a little goes a long way with this product, it blends out really nicely though so you can wear it as sheer or as heavy as you like. 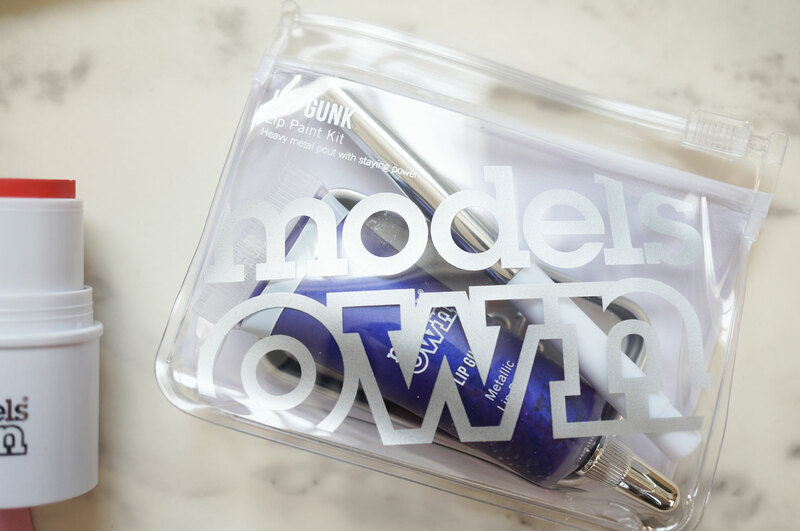 Next we have the Lip Gunk Kits (£10.99) – these come in two options: Metallic (6 shades) and Gloss (8 shades). 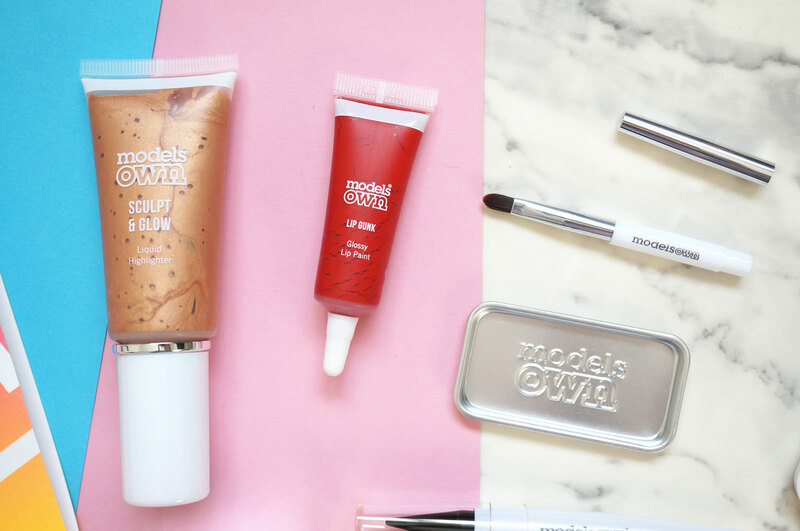 Each mini kit contains a Lip Paint, a mini brush with its own lid and a mixing palette, all in a dinky little zip lock bag. And the Sculpt & Glow Liquid Highlighter (£9.99) – this liquid highlighter comes in four shades, and I have Rose Gold. Initially I thought this might be a bit orangey and dark for my pale skin tone, but it actually blends out sheer with less colour than I was expecting, and just gives the skin a nice healthy glow. 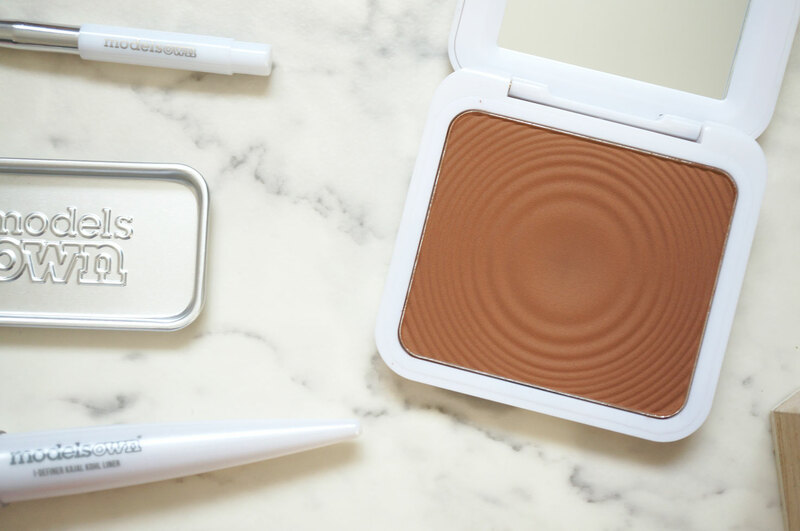 The Sculpt & Glow Contouring Bronzing Powder (£8.99) – is a lovely little matte powder which can be used for bronzing and / or contouring depending on your preference. This product comes in four shades, and I have Deep Tan, which is quite a warm dark tan shade. Personally I think this would be too warm to contour with, but it would work great as a bronzer on darker skin tones. Next the i-Definer Kajal Kohl Liner (£7.99) – though I’m not personally a fan of this style of eyeliner, I know many people love them, and I must say the i-Definer Kajal Kohl Liner does offer intense pigmentation – if you’re looking to try a new Kajal Kohl liner I’d definitely recommend checking this one out. 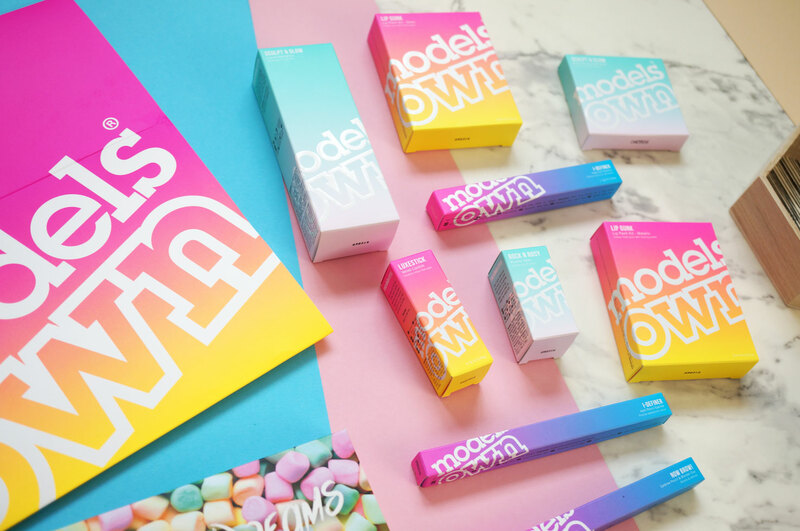 The full collection is available now at Models Own. Previous Post Coming Soon – The Urban Decay Moondust Palette!